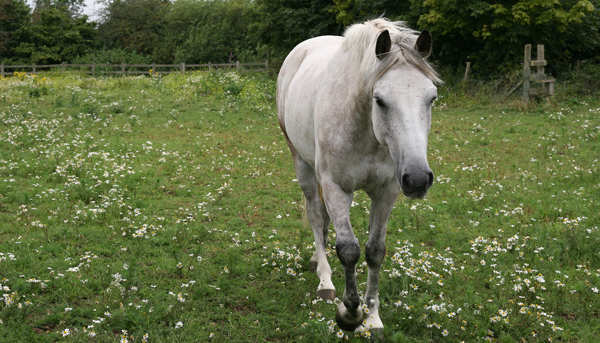 The greying gene is found in all breeds of horse & has the ability to mask all other colors or patterns, including pinto, appaloosa & roan white patterns. The greying process is similar to that of humans, the animals are born their base color & slowly become grey with age. 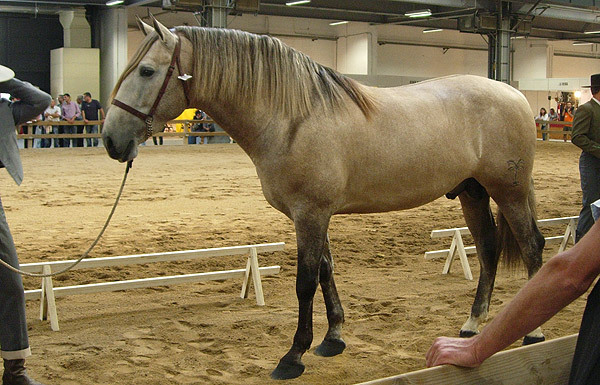 The process often starts when foals shed their coat, but can wait several years to show. 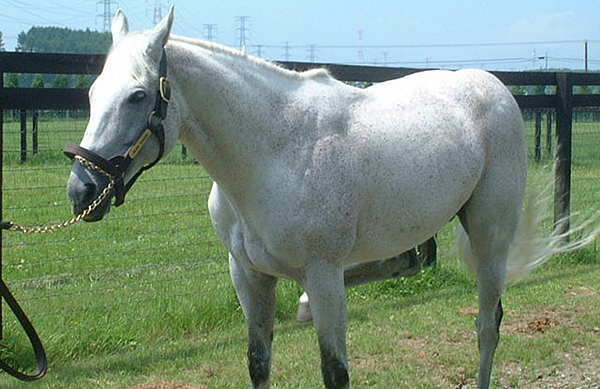 Greying will progress at different rates in different horses, but animals will eventually turn white. 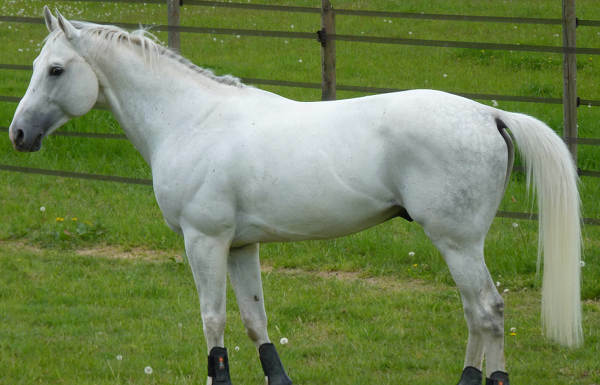 Every grey horse will go through a variety of stages during the greying out process, which also varies by horse, breed & local conditions. The different stages are loosely categorized below. This is early in the greying process on a black base & is the sign of a younger animal. 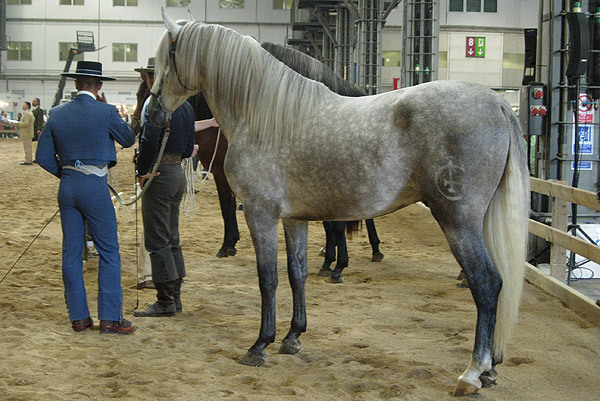 The coat will sometimes have a bluish tint & can be mistaken for a grullo or a blue roan. This is early in the greying process on a bay or chestnut base & is the sign of a younger animal. The coat will sometimes have a rosy or pink tint & can be mistaken for a red roan. This is the second stage of greying & occurs between the ages of 4-12. Any base color can display dapples & they are patches of the base colour surrounded by grey hairs. 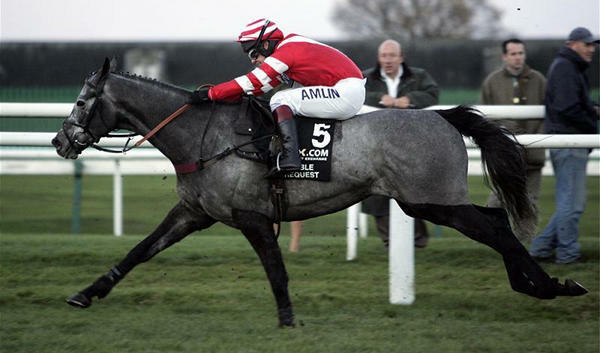 This is the stage people often think of when they think of grey horses. As grey animals age & become more white, some will retain flecks of their base color throughout. Fleabitten greys are rarer than regular greys & their spots can change, or even pop up after the greying process is complete. This is the final stage of the greying process, when all pigment in the hair (& sometimes skin) is gone. A white grey coat denotes a mature animal & at this stage it is usually impossible to tell what their original base color was.